When you start working on a software development project you will quickly discover that the development methodology used will have a major part to play in the speed and quality of the code developed. Since Agile methodology is so widely used it is important that you understand the advantages and disadvantages of agile so you are able to determine whether it is the best fit for your project deliverables. Looking at the lists you're probably wondering, "how on earth do I decide whether Agile should be used on my project or not?". Well firstly most web 2.0, ecommerce, internet and new media projects are developed using Agile. I would in fact go so far as to say that if you are managing such a project and are not using a derivative of agile, then you are heading for project failure anyway. This is for the simple reason that such projects have highly fluid business requirements documentation and the project management stakeholders will as a result, demand changes to be made to them, some of which you will be forced to implement. 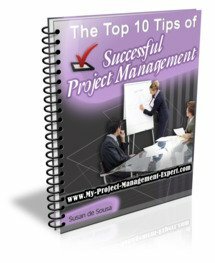 If you are not using a methodology which is flexible enough to accommodate this then you will quickly discover that the project is undeliverable, and your project management career has come to a shuddering halt. If you are managing a large project which involves numerous offshore teams and project management requirements which are clearly understood and won't change, then one of the other software development methodologies would be better able to deliver the required process of software development.